Wang Tiande is an innovative avant-garde ink artist known for his creative use of incense sticks as a form of brush. Born in Shanghai in 1960, he studied at the College of Art in Shanghai in 1981, before pursuing further studies at the China Academy of Art in Hangzhou. After graduating in 1988 with a degree in traditional Chinese painting, he went on to obtain a Ph.D. in calligraphy in 2014 from the same academy. 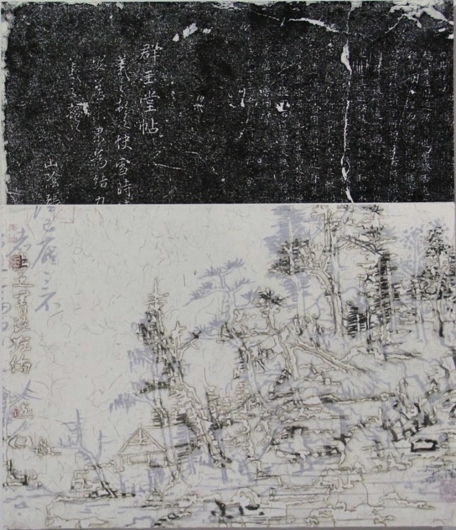 Well versed in traditional Chinese art and culture, Wang searches for further possibilities in the realm of ink art. 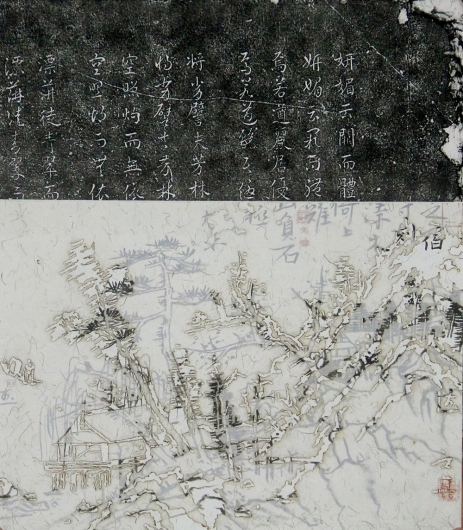 His most ground-breaking creation, Chinese ink with burn marks on layered rice paper and the use of incense sticks in lieu of brushes to paint, transforms paintings of traditional landscapes and calligraphy while conveying the ephemeral quality of painting. 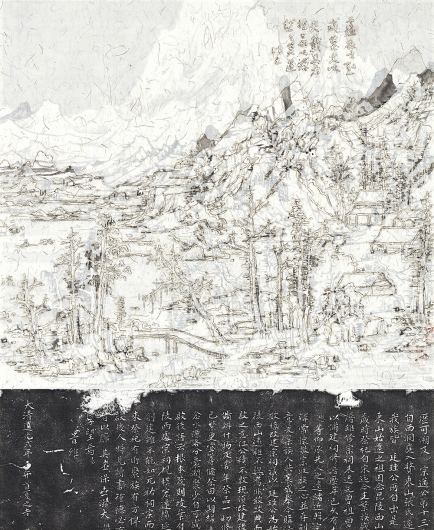 He first gained international recognition when his work, Ink Banquet, produced in 1996, was exhibited as part of Inside Out: New Chinese Art, a travelling exhibition curated by Gao Minglu. This work was subsequently collected by the Hong Kong Museum of Art. Alisan Fine Arts began representing Wang in 1999, and organised his first solo exhibition in Hong Kong in 2003, titled Wang Tiande: Ink for the 21st Century. 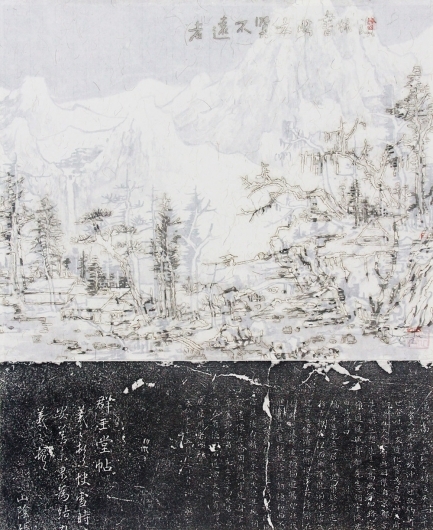 Since then the gallery has held three further solo exhibitions for him in 2007, Wang Tiande: Landscape Transformations, in 2014, Mountainscapes: New Ink Art By Wang Tiande, and in 2018 AWAITING New Works by Wang Tiande. 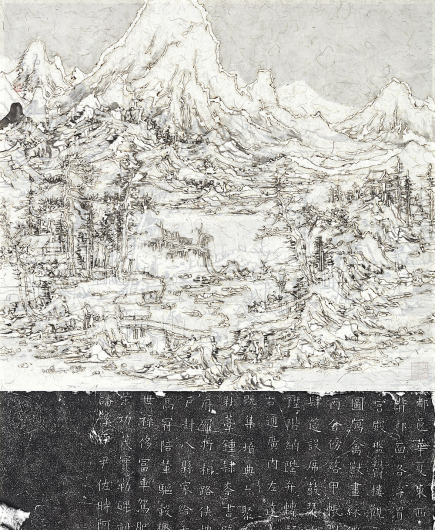 Wang has participated in two group exhibitions at the Metropolitan Museum of Art in New York, as part of Brush and Ink: The Chinese Art of Writing in 2006, and the seminal exhibition Ink Art: Past as Present in Contemporary China in 2014. 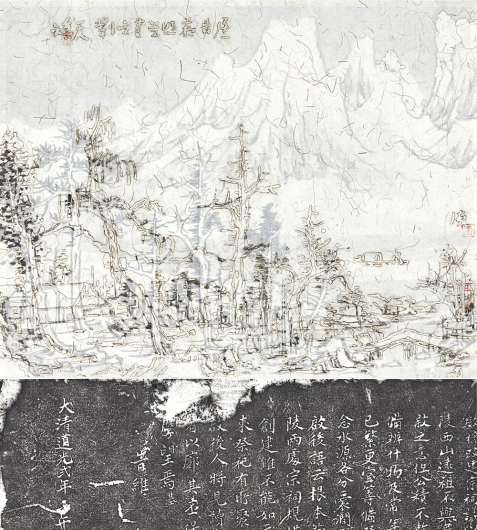 His works have been collected by the British Museum, London; Metropolitan Museum of Art, New York; Museum of Fine Arts, Boston; Berkeley Art Museum, California; Spencer Museum of Art, Kansas University; Montreal Museum of Fine Arts; Shanghai Art Museum; Shenzhen Art Museum; Guangdong Museum of Art; Chinese Painting Research Institute, Zhong Nan Hai, Beijing; Hong Kong Museum of Art.